There’s little doubt that child custody is generally the most contentious issue in divorces involving children. Everyone wants what best for their children, and people understandably react badly when they get the sense that their children are being “taken” from them. You want to see your children as often as possible. But this is true of both parties in a divorce. And when two people want to see their children as much as possible but will no longer live together, the math involved is both predictable and sad. Split Simple’s attorney-mediators understand the legal issues involved with child custody and visitation rights, but perhaps more importantly, we understand the emotions involved as well. We will approach this unique child care issue with a calm, rational approach that protects the best interest of the child at all times. If you have questions about our proven divorce mediation process, please call Split Simple today at (855) 665-9920 or contact us online for Chicago divorce mediation and uncontested divorce services in Denver. Colorado technically does not have a child custody law. Instead, it uses the term “parental responsibility.” However, as in most states, the dominant consideration when it comes to custody/parental responsibility is the best interest of the child. This isn’t a controversial feature, as everyone wants what best for the children. However, it’s easy in the bickering of a traditional courtroom divorce to get self-interest and the child’s interest confused. When you don’t much like the person you’re divorcing, it’s easy to think that there’s no way that person should have custody or even visitation rights. Split Simple strives to keep the divorce mediation process calm and drama-free. We know you and your spouse are reasonable people. Mediation tends to bring that out. Courtroom divorce tends to bring out our less reasonable side. Generally speaking, the law holds that it’s usually in the best interest of the child to have significant time with both parents. That doesn’t mean child custody has to be exactly 50/50, and there are unique circumstances that might change the thinking on this matter, but when at all possible the goal is to craft a custody arrangement that provides the child with exposure to both parents. But our attorney-mediators don’t hand down decisions from on-high. Instead, we work with both parents to devise a parenting plan that meets all legal standards and leaves everyone satisfied with the results. It is common for the terms “child custody” and “visitation” to be used interchangeably. However, they are not the same. It’s important to understand the difference when resolving parenting issues associated with your divorce. Legal custody — This refers to a parent’s right to make decisions associated with the child’s education, health and general welfare. Physical custody — This refers to which parent the child will live with. 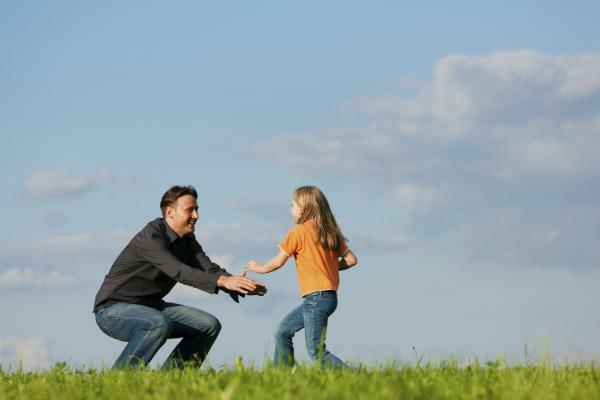 Both legal and physical custody can be awarded as sole custody or joint custody. In cases where sole legal custody is awarded, that parent will have the ability to make all decisions regarding the child’s needs. When joint legal custody is awarded, both parents must discuss these issues and come to an agreement on the decision. Similarly, when sole physical custody is granted, it means the child will live with that parent all the time. When parents have joint custody, the child will split time in both residences. In situations where one parent receives sole physical custody, the other parent will typically be awarded visitation rights. This refers to the amount of time that parent gets to spend with the child. Visitation schedules typically spell out the specific days and times the non-custodial parent can spend with the child. In some instances, the non-custodial parent may only be granted supervised visitation rights. When this occurs, the custodial parent or another adult must be present at all times during time spent with the child. As part of the mediation process, our attorney-mediators will help you and your spouse craft a child custody agreement that works for both parents while keeping the best interests of the child as the top priority. We can help you establish a parenting plan that allows both parents to enjoy meaningful time with the children. If you’re concerned about child custody arrangements and would like to learn more about how our divorce mediation services can help you resolve these matters, please contact Split Simple using the form on this page or call (855) 665-9920 today to schedule a free consultation for Chicago divorce mediation and uncontested divorce services in Denver.